Some developers have sounded off on the future of video games as of late, noting that they believe that it should be going fully digital over the next few years, doing away with physical discs in favor of all-downloadable software. While that may sound like something easy to fans, it’s also a turn-off for those that prefer to collect physical discs – after all, nothing beats showing off a game collection, right? However, EA isn’t so quick to jump on board the digital-only bandwagon. Sure, it’s offering a number of its games for download on Xbox One, PlayStation 4, PC and other platforms, but it seems to like the physical route as well. 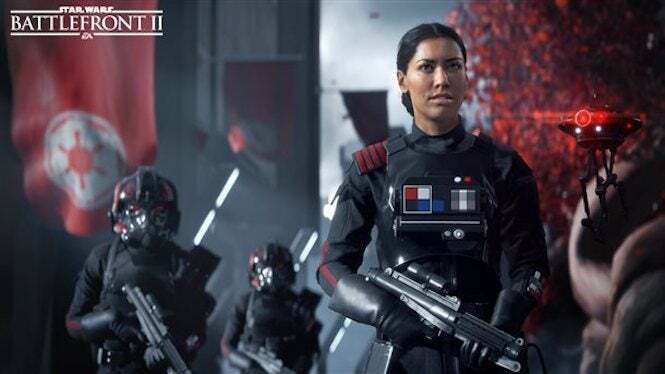 While speaking during a recent NASDAQ event (according to Gamespot), EA’s chief financial officer Blake Jorgensen sounded off on the topic, believing that both consoles and disc drives will remain around for some time – even as digital continues to move up the ranks. He said it really depends on how the consumer want to purchase their games, and what works the easiest for them. He does bring up a point. Ordering a game digitally does make it simpler to get the game you want, instead of dealing with potentially long lines at the store, damaged discs or other issues (like weather or what not) that can get in the way of your game purchase. But, then again, there’s something to be said for collecting games. Jorgensen also added that he believes around 30 percent of EA console games are digital purchases. However, when it comes to PC games, the count is much higher, around 80-90 percent, thanks to the ease of stores like Steam and EA’s own Origin service. It’s up in the air in regards to how the future of gaming will proceed, but as long as we get to enjoy them, that’s really the point. At least, to some.